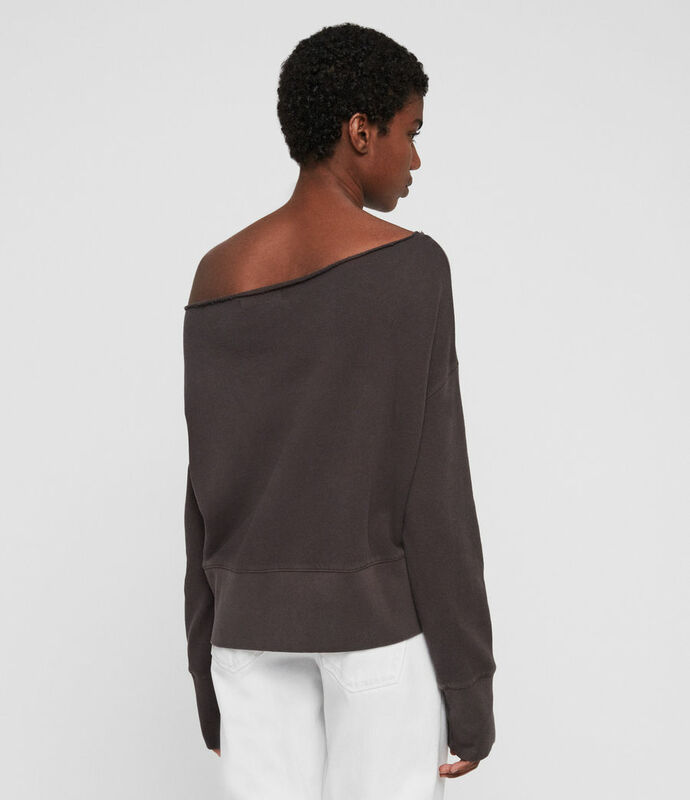 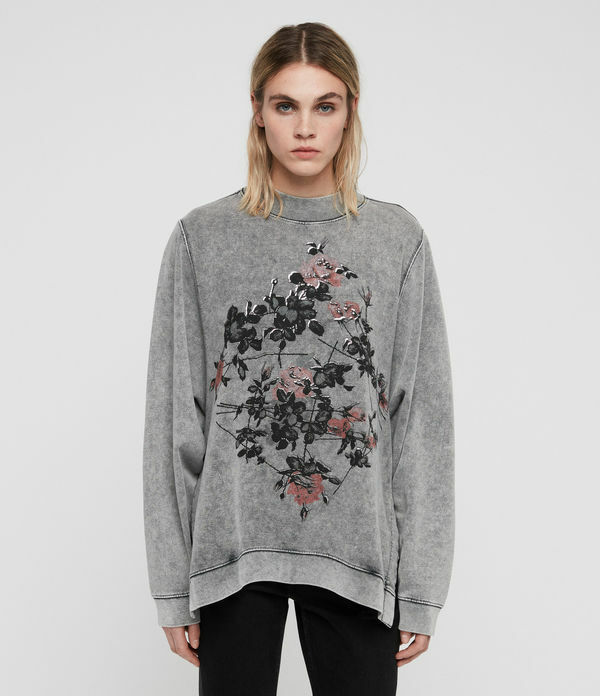 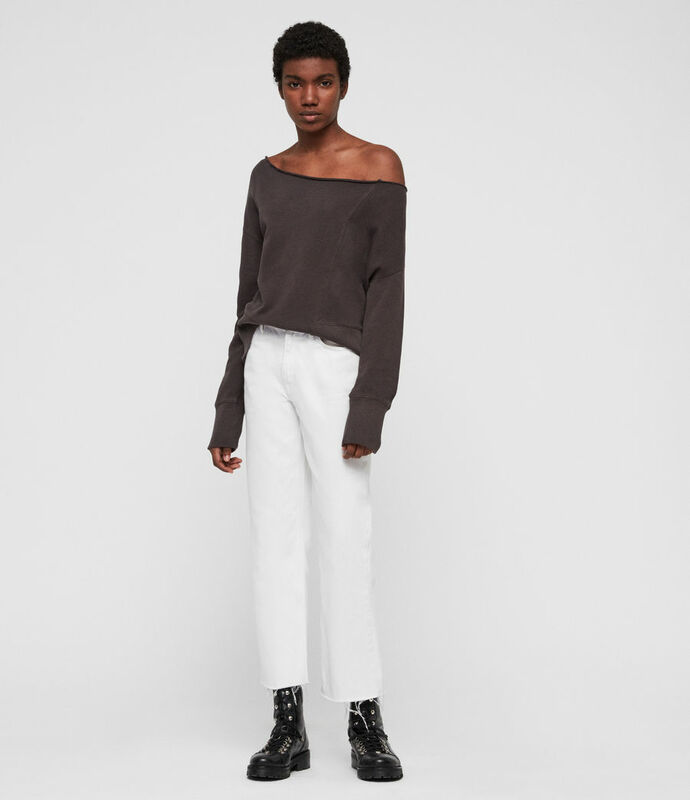 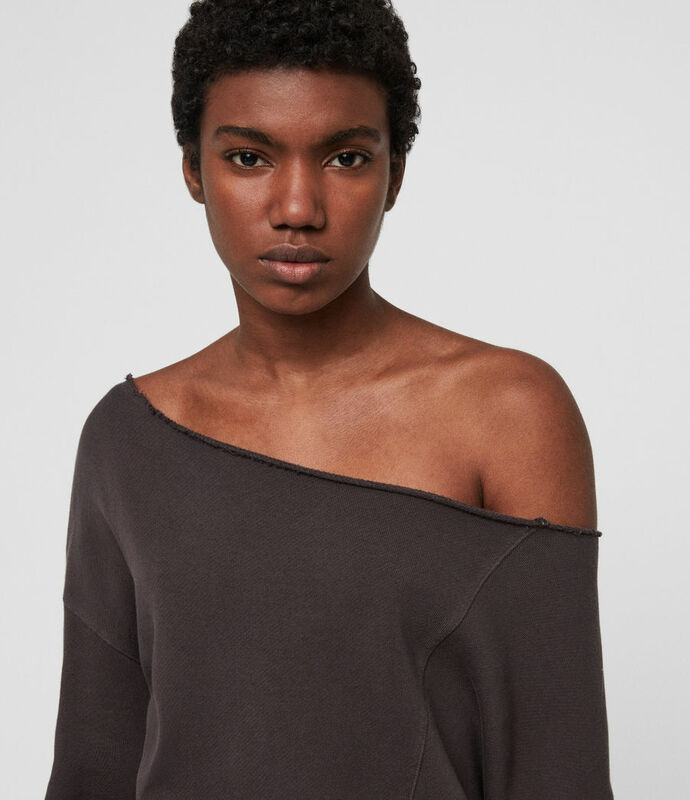 The Lando Sweatshirt is an off-the-shoulder silhouette in a comfortable relaxed fit. 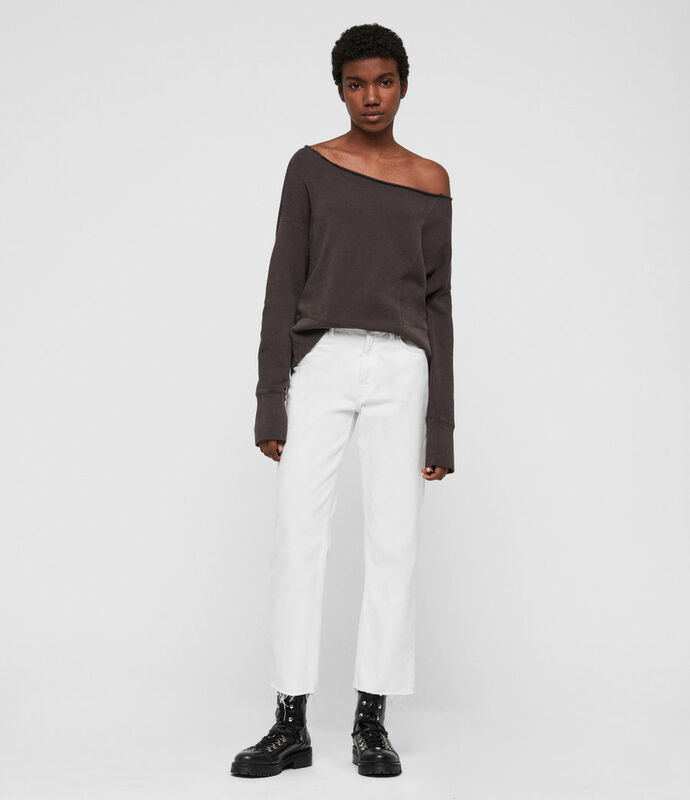 Finished by a mismatched AllSaints hemline and dropped shoulders. 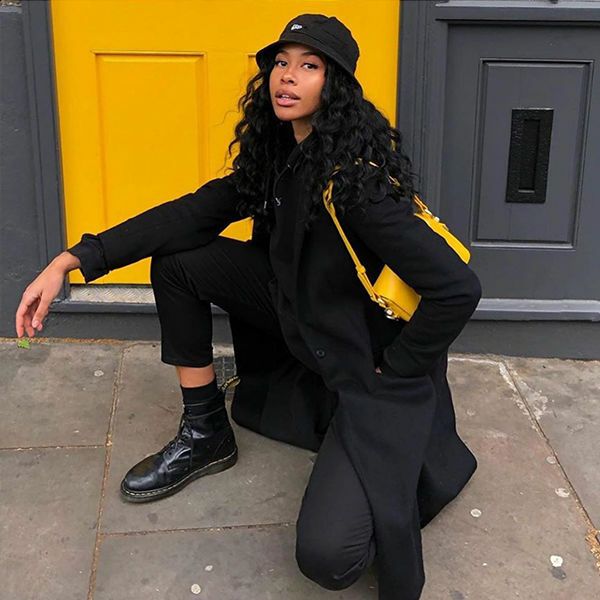 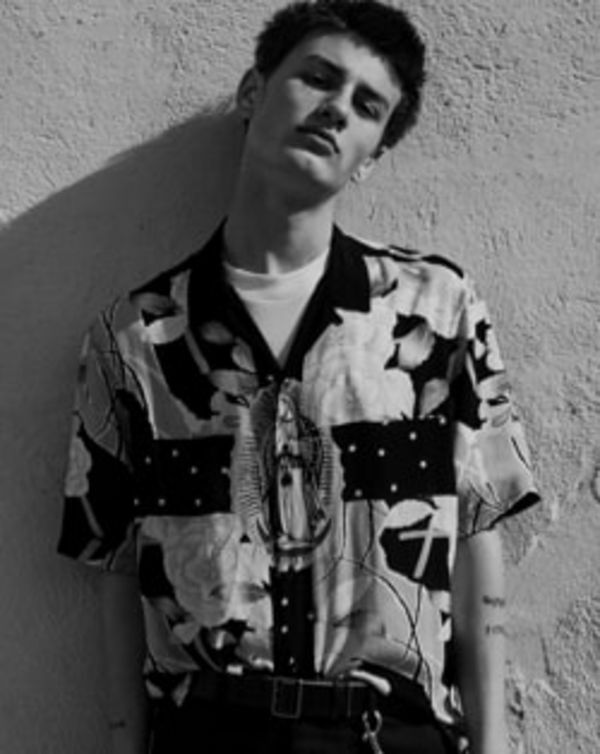 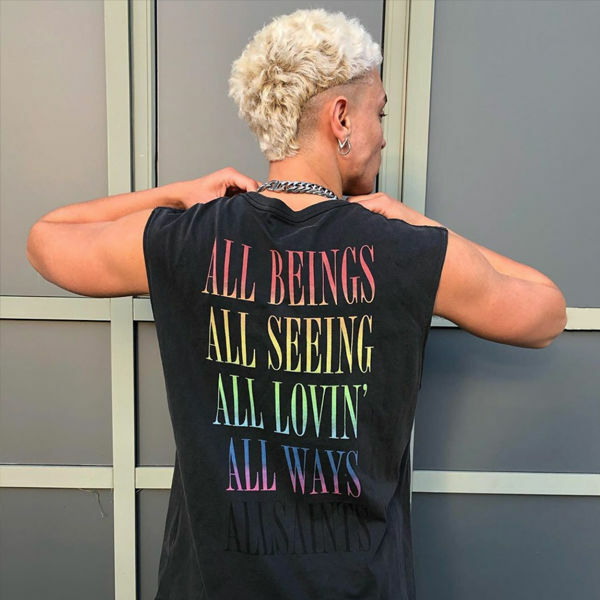 Model is 5'8" / 173cm and wearing a size M.